Dragon Quest Heroes PC is happening, Square Enix confirmed today. This Musou spin-off developed by Omega Force (the studio behind Dynasty/Samurai/Hyrule Warriors) will launch on Steam on December 3, priced at $/€ 49.99, though there is currently a 10% discount if you pre-order the game. 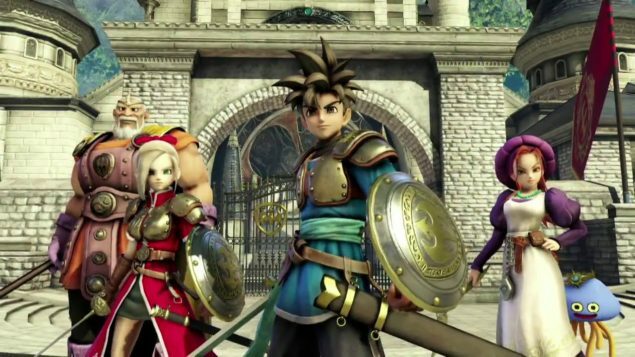 The official system requirements for Dragon Quest Heroes PC have also been shared on the Steam page. I want to enjoy this game, I really do, but my God is it ever tedious. More than once it seriously wore on my nerves, simply due to how repetitive it can be. I’m sure the game will find fans, but I won’t be one of them. Are you interested in Dragon Quest Heroes PC? Let us know below.